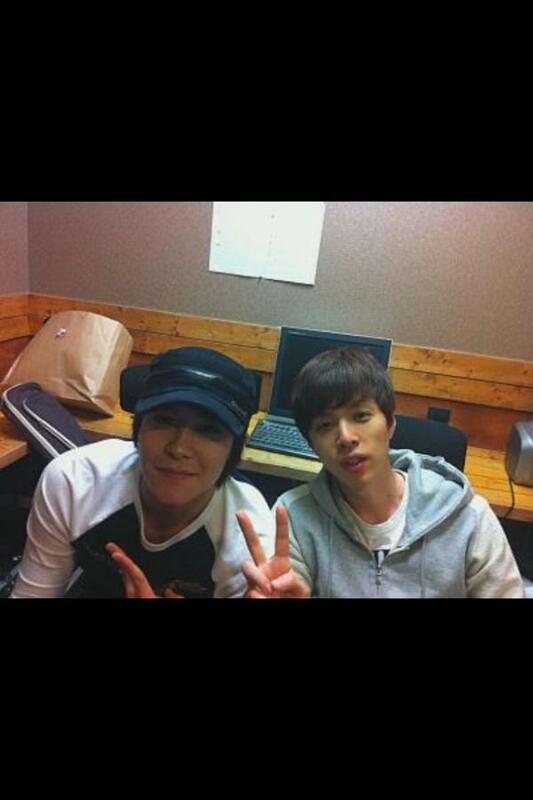 Jeon Geunhwa tweeted a picture of him together with former CNBLUE bassist, Kwon Kwangjin. We’ve found out that Geunhwa has deleted his tweet, so we decided to remove our translation. But, then he tweeted to our admin: 다들 광진이 잘 아시는구나~ㅎㅎ 맞아요^^ (I see that all of you know Kwangjin well~ hehe that’s right). Our admin asked about why he deleted his tweet. And he was surprised, he didn’t know about it, he didn’t mean to delete his tweet. So, he tweeted once again. This entry was posted in Twitter and tagged cnblue, geunhwa, kwangjin, m signal, msignal. Bookmark the permalink.